Fall prevention saves lives. Hear Dr. Christine Branche of NIOSH talk passionately about the annual Construction Fall Safety Stand-Down May 4-15, 2015. Dr. Branche explains that companies are asked to pause work on job sites to review fall prevention with employees. Dr. Branche is Director Of The Office Of Construction Safety And Health for NIOSH, The National Institute For Occupational Safety And Health. Near the end of the podcast, Dr. Branche also politely laughs at interviewer Dan Clark’s joke about a contractor. This is the first of two Safety Experts Talk interviews with fall prevention experts. Dr. Christine Branche: There’s so many issues about which industry and labor and government organizations can disagree over niggling details, but this issue’s over which everyone has agreement. Dan Clark: In the construction industry, falls are the top cause of construction fatalities. Nearly 300 workers are killed annually. 10,000 injuries. 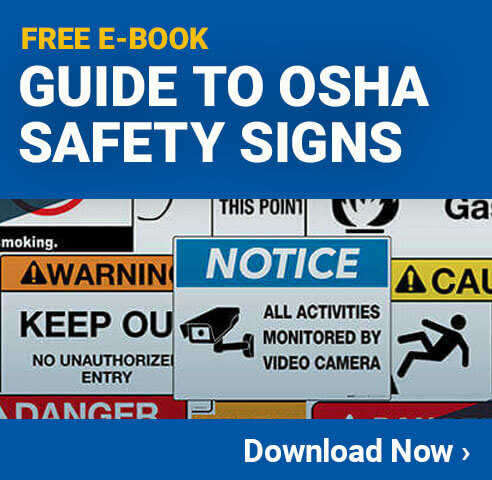 OSHA and NIOSH are doing something about it. Hello, I’m Dan Clark. Today, we’re talking with Dr. Christine Branche, Director Of The Office Of Construction Safety And Health for NIOSH—The National Institute For Occupational Safety And Health. Hello, Dr. Branche. Dr. Branche: How are you today? Dan: I’m well, thank you. So, the second annual Construction Fall Safety Stand-Down is May 4th through the 15th. Tell us all about it. Dr. Branche: We’re very excited about this year’s campaign because it is for two weeks, and we’re starting earlier in the season than we did last year. Last year, it was the first week in June for just one week. This year we’re relaunching the Construction Falls Prevention Campaign from which the Stand-Down grew, and, as you noted, it’s for two weeks now. Dan: Yeah that’s fantastic and what is the main reason for the Stand-Down? Why are you elevating your awareness campaign to construction workers? Dr. Branche: Construction workers have the highest numbers—among the highest numbers—of injuries and deaths at work among all sectors. We are very concerned about the fact that these injuries and these deaths are preventable. So it’s not as if we can’t do anything about them. And the Construction Falls Prevention Campaign and the Stand-Down are ways to actively engage construction contractors, people who are foreman, supervisors on-site, as well as the workers themselves, in understanding that they have a risk for falls and understanding also that they’re preventable. Dan: What are you asking the employers to do during this two week period? Dr. Branche: We’re asking employers to take some time, whether it’s over a lunch break, or another break in the day, or even a toolbox talk, to stop all work activity at a construction site, regardless of the size of the construction project, and to talk to their workers about fall issues, how to prevent them. To talk about the equipment that’s being used. To introduce new equipment that helps to prevent falls and to arrest a worker from a fall if one occurs but to take time out to cover any of a number of topics that deal with fall prevention in a construction site. Dan: Not every employer or manager is an expert in fall protection so do they have other staffers from a government agency? Dr. Branche: Well, what I do know is that at NIOSH, I know at OSHA as well, and in some of our partner organizations, we’re offering information available online. And it’s through social media that they can use to engage their workers. In fact, we’ve worked with CPWR, The Center For Construction Research And Training provided day by day guide of information that can be covered during the Stand-Down. So, for every weekday of the Stand-Down, there are different issues, different materials that can be made available. We have a host of information that’s available on the NIOSH website, on the CPWR website, and on OSHA’s website that can be downloaded and for easy use by any employer or any organization who wants to engage the workers. Dan: Well, that’s great. And we will put the links to all of those sites you just mentioned in the transcript of this podcast. You’re hoping that you’ll have 20,000 different Stand-Downs from various organizations—companies, private industry, military, whatever. But 20,000. That’s a huge jump from last year’s Stand-Down. Dr. Branche: It is indeed, and actually there’s something that I didn’t mention earlier when you asked me about what’s different about this year’s campaign. A key difference is the fact that we’ve engaged much larger organizations to help us in getting the word out and getting the material out. It turns out that by selecting the first two weeks in May—and, specifically, that first week in May—we’re working in concert with the North American Occupational Safety And Health Week that’s sponsored by the American Society of Safety Engineers, ASSE. We are also partnering with the Associated General Contractors of America, The United States Air Force Ground Safety, OSHA Training Institute Education Centers, and The National Construction Safety Executives, who are also a sponsor of Safety Health Week. So we really have tried to step up the game in using all possible avenues to get every size of employer, every size of construction project engaged in this year’s campaign and Stand-Down. Dan: Will you go out to some of these sites yourself to help demonstrate? Will you put on a harness? Dr. Branche: I don’t know that I’ll put on a harness, but we have been invited to some of the Stand-Downs that are going to be here in the Washington DC metropolitan area. I participated in a Stand-Down last year. It was absolutely fascinating. It was great to see all of the employees on a particular site stop what they were doing, gathered by their employer, and going over some vital information for what to do to keep safe. And what the employer was doing to help their employees be safe. Dan: Tell me, doctor, about your history in fall protection. I know you’re a doctor, so maybe you haven’t had any work at height. But, have you fallen yourself, or have you witnessed falls? Dr. Branche: I have not fallen myself. I’ve seen a close call. I have a PhD in epidemiology and I’ve been working in safety issues, really, my whole career. Dr. Branche: I started working and being interested as a researcher in fall issues from the very beginning of my career, both in construction as well as preventing falls among children, preventing falls among older adults when I was working in non-occupational issues. And now I’m very pleased to be back at NIOSH and being able to lend my expertise in this area and this very important issue. Dan: Tell me a little bit more about how NIOSH and OSHA and these other agencies . . .
Dan: How do you all agree to work together on this particular project? Dr. Branche: Well, I’m really happy to tell you NIOSH coordinates the National Occupational Research Agenda [NORA] and has been doing so now for almost 2 decades. For this particular decade, 2006 to 2016, there has been a Construction Sector Council operating under the National Occupational Research Agenda, and that group of people—this is right before I joined this particular effort and started leading this particular office. They came up with a number of goals—research goals—for the construction industry. This issue of falls prevention was actually the number one goal. The idea of putting together—working cooperatively—in putting together a campaign was actually one of the ideas that the Sector Council came up with. Please understand that OSHA, and a number of the organizations that I named before, participate in our Sector Council. And so, actually it was NIOSH working with CPWR, The Center For Construction Research And Training, working together and pulling our assets and our information together, along with Sector Council members, who designed the Construction Falls Prevention Campaign and then worked with OSHA to launch the campaign in 2012. And then, OSHA began to, working with their state offices, began to look at this notion of a Stand-Down. So we worked cooperatively, looked over the data at what they had done on a small scale, and encouraged OSHA to do a much larger nationwide Stand-Down which is what they did last year. Dr. Branche: So, I think the benefit of the campaign and the Stand-Down is the fact that there’s so many issues about which industry and labor and government organizations can disagree over niggling details, but the campaign and the Stand-Down really do stand apart as being there are issues over which everyone has agreement. And, fortunately, everyone can see themselves with the role in the Stand-Down, in the campaign. This is an amazing difference and a tremendous benefit and I think it’s a great opportunity for us to work cooperatively. Dan: Well, last year you had 1 million workers participate in Stand-Down across the country. Dan: It wasn’t until June that it happened. So do you know if it made a difference in the half of a year? Dr. Branche: We don’t yet have the data to suggest that the numbers of falls have reduced. Is that the question you’re asking me, Dan? Dan: I suppose that is. Thank you for rephrasing it. Dr. Branche: Okay, we don’t yet have the data. OSHA actually is in the business of collecting those data. We don’t yet know if our campaign, our Stand-Down, made a difference in the numbers of construction fall injuries or construction fall related deaths. But, by virtue of having so much engagement widely across the industry, we are very hopeful that when the data for 2014 are made available that we will see a difference. But, even if we don’t see a dramatic change in the fall statistics, we are seeing a dramatic change in the responsibilities that employers are taking for their role in protecting their workers. And that can only have a positive effect. Dan: Right. Now, I promised in my email to you when we originally set up this interview, that I’d give you a chance for your favorite contractor joke. Dan: And if you don’t have one, I have one. Dr. Branche: (laughs) Well, please share yours, then. Dr. Branche: That’s a very good one. I hope the contractors who were listening will see the humor, because it really is a very cute joke. Dan: (laughs) Well, doctor, you’re too kind. Do you have any final thoughts on keeping workers from falling? Dr. Branche: No, I really do… you said that you would provide the links. We have excellent materials from many of our stakeholders and we like the fact that working cooperatively in getting the information out. And I really, really appreciate your taking the time to highlight an important problem that, again, is preventable. So thank you. Dan: Alright. Well, the second annual Construction Fall Safety Stand-Down across the country is May 4th through the 15th of this year, 2015. Our guest has been Dr. Christine Branche, Director Of The Office Of Construction Safety And Health for NIOSH, The National Institute For Occupational Safety And Health. Thank you, doctor, for joining us. Dr. Branche: Thank you, have a great day.